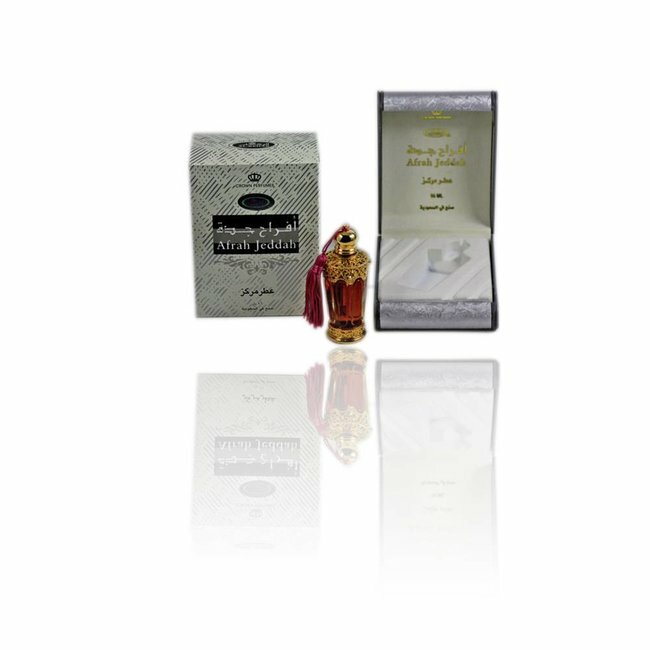 Perfume Oil Shaikhah by Al Rehab - Unisex, intense, sharp, oriental, Oudh, woody, fresh; perfume free from alcohol Read more..
Perfume Oil Shaikhah by Al Rehab is a typical oriental, medium sweet fragrance with subtle herb-fresh notes. Spicy woods such as Oudh, rose, saffron, cardamom, resins and white musk with sweet jasmine. Very long lasting and intense. Perfume oil Afrah Jaddah by Al-Rehab - Unisex, slightly swee..
Perfume oil Amasy by Al Rehab - Unisex, herb, fresh, jasmine..
Perfume oil Al Waseefah by Al Rehab - Masculine, intense, ta..